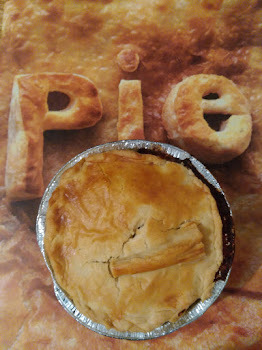 The pies come in a variety of sizes but I tend to go for an individual pie because I don't like sharing pie as you will know if you read my guide to the ultimate pie (and my other half is coeliac which is a good excuse). They look every bit the part of the handmade creations that they are with a simple but pleasing appearance. Sometime they can look a little on the messy side with a bit of boil out here and there but nothing to detract many points. 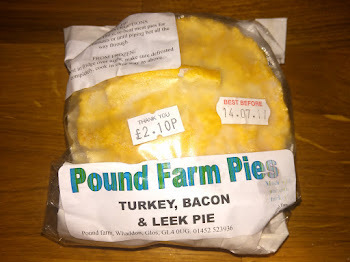 They are currently £2.10 which isn't bad for a good quality pie with decent chunks of meat. 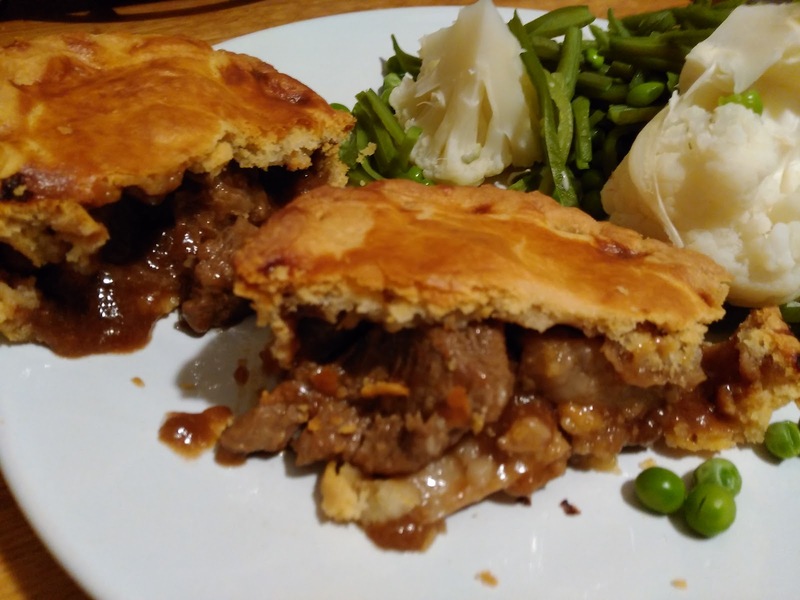 They aren't all that tall though so given the big size of the chunks I have sometime found that the pie is filled by just four or five pieces of meat, but if they are big pieces of lamb or steak I can't complain too much! This may be less of a problem if you opt for the larger sizes of these pies. I have tried a number of flavours with the Lamb, Steak & Onion and Turkey, Bacon & Leek reviewed this time. The pastry for all of these pies was very nice. I particularly liked that there was a bit of crunch to the pastry lid. I think this might be the first Turkey, Bacon & Leek pie I have ever tried. A variation on the classic Chicken, Ham & Leek, it had plenty of flavour, the different ingredients seemed to work well together. There was plenty of satisfyingly thick sauce. The meat was well dispersed through the pie and there was enough of both types of meat to provide some variety to the flavour. 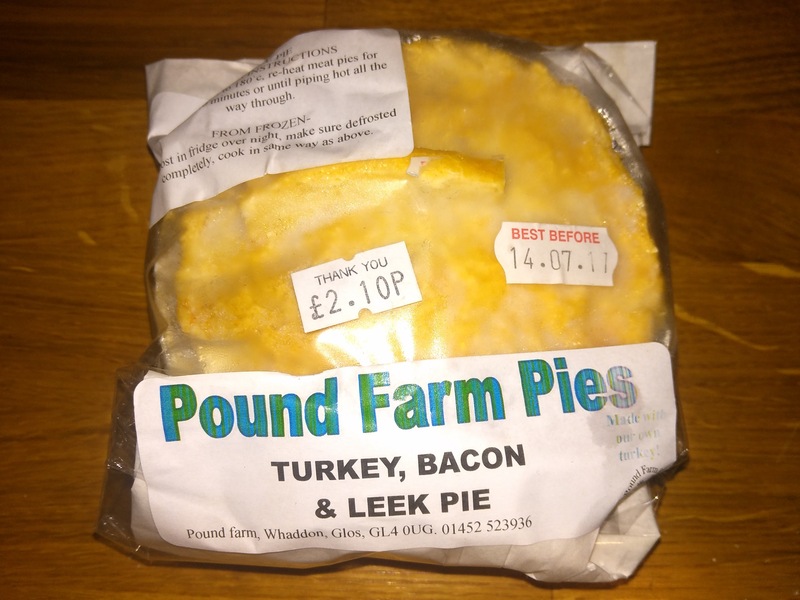 As a bit of a twist, the turkey used was darker meat rather than the generic whitish cubes of meat found in mass produced poultry pies. It made it seem reassuringly like real food. This is a risk as these parts of the bird can be more fatty and grissly but there was none of that in this pie. If anything, this meat was more moist than if breast meat was used. 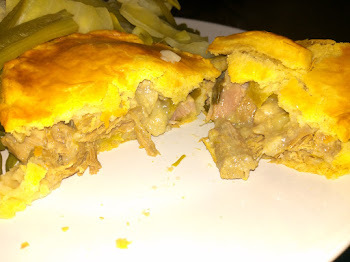 I do quite enjoy a lamb pie, I am not sure why they aren't more common, it is not something you typically find in a supermarket. 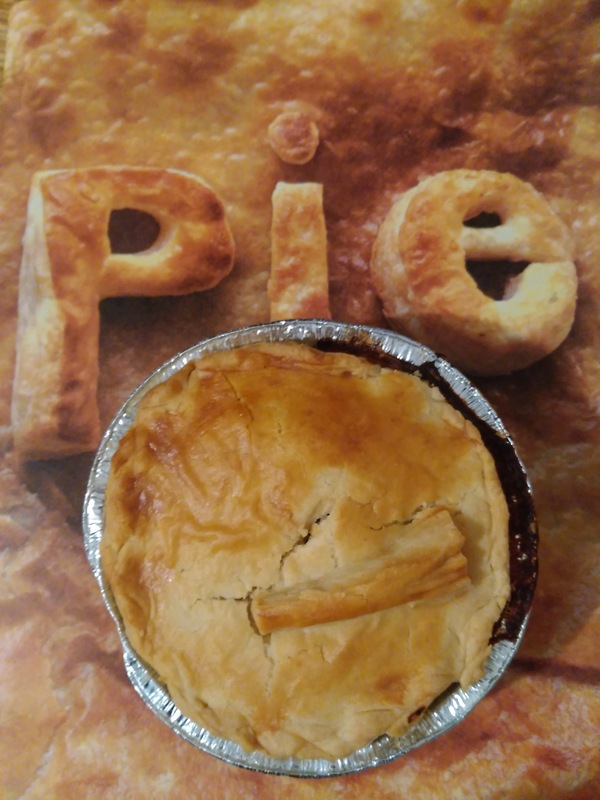 The lamb was in chunks that were perhaps a bit too large for this size of pie but it did make them very satisfying to chomp into and I wouldn't complain about not having enough meat. The flavour was basic but it was nice as the main attraction was the flavour of the lamb rather than any particular seasoning. Lamb is naturally fatty which in this case helped keep the meat nice and moist (which was not the case for the steak pie). 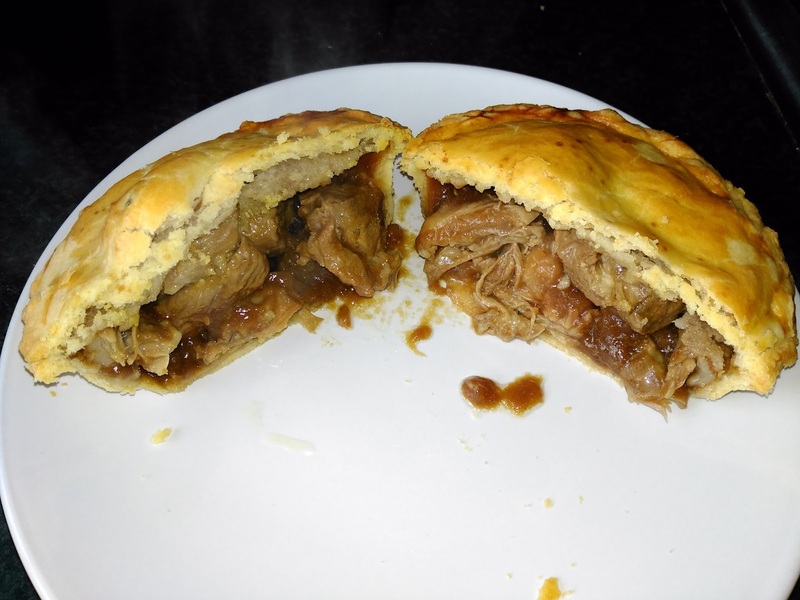 There were a couple of congealed lumps of fat which were not so appealing but otherwise this was an enjoyable pie. delicious, thick gravy to help it all slide down. There was a bit of flavour from the onion but this didn't dominate proceedings. For the price I thought this was very good. The pie did fall apart a bit but I cooked it straight from frozen whereas the guidance for these pies is to let them defrost first.